Earlier this year after much anticipation, NABERS released their new Waste Rating Platform, allowing more buildings to participate and receive a certified NABER Waste Rating. There are two major changes to note: the first being that the tool is now online and can be easily accessed by building managers, and the second that the mandatory requirement of a two week long audit process has been replaced with a once-off audit, making it easier than ever to get a rating completed for many commercial buildings. The updated version of the rules (V1.1) released only days ago, introduces whole building ratings as well as an adjustment to the rating scale. As a result of this adjustment the maximum rating achievable by a base building is 6.5 stars correlating to a recycling rate of above 81% and above 92% for a whole building. The flexibility of the tool allows for buildings of varying sizes and capacities to gain an indication of their recycling rates, with multiple layers of integrity that can be applied. Buildings hoping to achieve top results would aim towards an ‘excellent’ standard of data quality assessment involving data verification, onsite weighing and an audit run by a NABERS accredited assessor. Watch the video below for an overview of the new NABERS Waste Platform. Since the release of the NABERS Waste Platform, Ausnviro have been working across multiple commercial sites implementing our Waste Manager App™ and onsite weighing system to help buildings reach the highest level of data quality. Throughout this process our biggest takeaway is that data integrity is key to understanding the recycling habits of a building, in order to create positive change. By having a detailed understanding of the waste habits and processes in place, we are able to provide tailored initiatives to improve the performance of the site, as well as continuously monitor for any unexpected changes that may occur. We look forward to assisting these buildings in monitoring their waste performance and achieving their recycling targets in the coming years, and anticipate that the new waste platform will be embraced by many waste-conscious commercial buildings in the near future. For any enquiries regarding our onsite weighing system or the new NABERS Waste Rating tool, please contact Hash Fonseka (0468 791 121) hash(at)ausnviro.com.au or Stacey Ward (0431 920 336) stacey(at)ausnviro.com.au. It was a great pleasure to speak on behalf of Ausnviro last week at the Sustainability Session “Apartments: Building a Business Case for Sustainable Changes” organised by City of Port Phillip, City of Stonnington and Strata Community Association. I was very interested to hear the other speakers share their experiences driving sustainable changes in the high-density residential sector, with Julie Mclean from Ace Body Corporate Consulting, running us through developing a business case for sustainability, Daniel Beaton from Moreland Energy Foundation discussing the fundamentals of installing solar and the challenges that come with it, Jeff Elliot providing first hand experience into what it takes to enact sustainable changes within an apartment block and Rochelle Castro from RC & CO Lawyers providing an overview on the legal side of owners corporations. Ausnviro covered the background of NABERS, its establishment in the commercial office sector, and how residential lot owners can benefit from the newly developed NABERS for Apartments tool. We were also able to share our experience in completing some of the very first NABERS for Apartments ratings in Australia, with 33 residential buildings rated in the City of Melbourne Pilot study. It is very exciting to see the interest from various Owners Corporations regarding the NABERS Apartments benchmarking tool, and we expect to see the same benefits that were associated with the initial implementation of the NABERS Program in the commercial office sector. The potential for reducing energy and water costs and subsequent Owners Corporation fees, as well as driving down greenhouse gas emissions are just two of the key incentives for completing a NABERS for Apartments rating. Ausnviro can facilitate all types of energy efficiency works. If you would like to discuss a NABERS for Apartments rating, please email me at alex(at)ausnviro.com.au or give me a call on 0481 355 769. 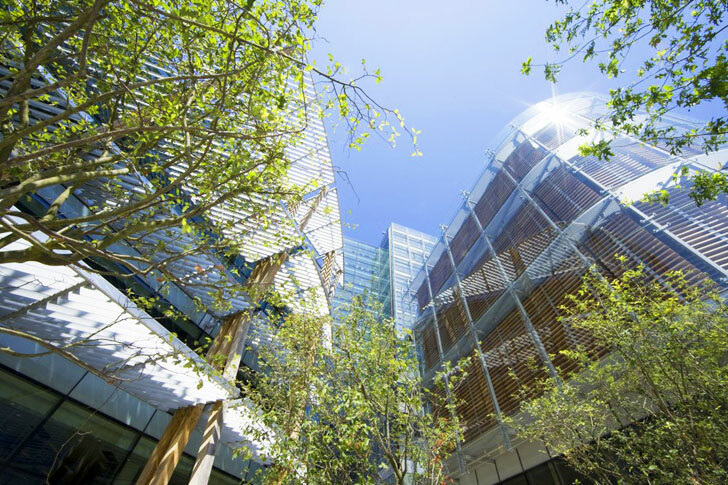 NABERS has recently been authorised by the Department of Environment and Energy to provide Carbon Neutral Certification to the National Carbon Offset Standard, in conjunction with a NABERS Energy Rating. In order to be eligible, buildings must hold an existing 4 Star NABERS Energy Rating, or have made a formal commitment to achieve this within three years. For office ratings, only whole buildings and base buildings can be certified – unfortunately this means that tenancies are not eligible at this stage. The data required to complete the certification incorporates the usual data associated with NABERS Energy, NABERS Water, and NABERS Waste ratings. Carbon offsets are then purchased to reduce remaining emissions down to zero. Ausnviro expects that this will appeal to building owners or managers looking to holistically assess their energy consumption and waste output, while going the extra mile by becoming carbon neutral certified. This is an excellent way for high-performing buildings to demonstrate additional commitment to emissions reduction, and to stand out from the crowd in a growing market of premium grade, energy efficient assets. With many government bodies now committing to carbon neutrality by 2020, it is anticipated that demand for carbon neutral office space will grow rapidly in the next few years. For further information regarding Carbon Neutral Certification, please contact accredited assessor Jess Harrison on 0466 972 949 or jessica(at)ausnviro.com.au.